AN AMBITIOUS Annan teenager, who has been registered blind for most of his life, is taking the first steps towards what he hopes will be a political career. 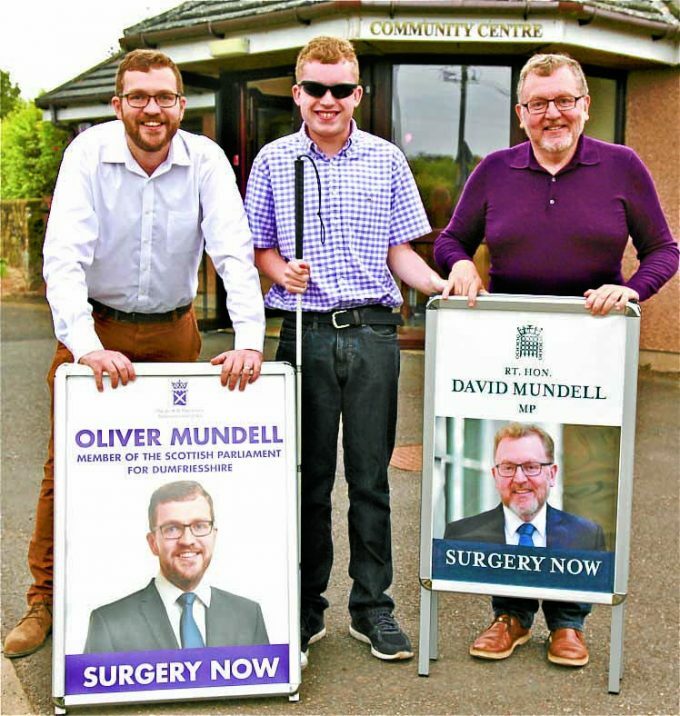 Lewis Shaw, 19, carried out work experience over the summer with Dumfriesshire constituency MSP Oliver Mundell and his father, Dumfriesshire MP David Mundell. He shadowed the two politicians both on parliamentary and constituency duties, gaining first-hand experience of their work. It has been an ideal grounding for Lewis, as he this month begins a degree course in politics at Stirling University. Diagnosed as an infant with the sight loss condition Leber’s Amaurosis, the perceptive teenager has never let his disability curb his determination to succeed. The former Annan Academy pupil, who has also attended the Royal Blind School in Edinburgh, is an accomplished user of braille – a raised dots system which people with sight loss read through their finger tips. He is a skilled writer too, having won a $1000 prize in an international competition two years ago for his essay on the importance of braille. Lewis explained he was partly inspired to follow a career in politics by David Blunkett, now Baron Blunkett, the blind-from-birth Labour MP who held three senior Cabinet posts during 28 years in the House of Commons. He said: “Although I do not share all his political views, I really admire David Blunkett because he has achieved such a lot and shown other blind people that the sky’s the limit as far as ambition goes.